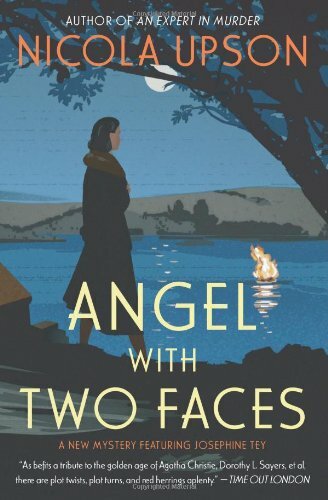 Exhausted and disillusioned with the world of theater in May 1935, Josephine Tey has traveled to Cornwall to spend the summer with her friends the Motleys at their run-down but beautiful country estate. Ready to begin work on her second mystery novel, Tey finds much to inspire her in the landscape and its legends. Meanwhile, the Motleys have become involved in an amateur production at the nearby Minack Theater. Detective Inspector Archie Penrose has returned to his roots in Cornwall to attend the funeral of a family friend, a young estate worker who died in a tragic riding accident. Penrose has a few questions about the circumstances surrounding the fatal occurrence. And when the Minack Theater proves to be the stage for a real-life tragedy, Penrose and Tey together must investigate an audacious murder and confront an evil suggesting that there are darker things than death.